COLD-PRESSED KALE JUICE COUNTERS THE ALCOHOL IN THIS VODKA, SO...DUH AT JANE Q IN LOS ANGELES. A number of years ago, terms like “gut health” and “functional foods” were limited to health food stores. But thanks to a few drivers, the idea of health benefits derived from wholesome ingredients in both food and beverage has powered its way into the consumer consciousness. Certainly, retail products have helped define and market the concept, with everything from yogurts touting the benefits of probiotics for digestive health, to cold-pressed juices promising boosts in mental clarity and immunity. The mainstreaming of retail products promoting all sorts of positive physiological effects helped move the idea of functionality from hippie culture to a broader consumer base. This phenomenon—although impacting all aspects of the menu—holds the biggest opportunity on the beverage side. It’s fueling tremendous innovation in the nonalcoholic beverage category, where nutrient-dense ingredients like turmeric, blueberries, beets, carrots and kale find a natural home. And although they’ve been making their mark in non-alc for a while now, beverage directors are delving deeper into both creative combinations and messaging around the health benefits of these ingredients. Eureka!, a 22-unit casual-dining chain based in Hawthorne, Calif., signals a good-for-you profile with its well-named TLC Nectar, a nonalcoholic beverage starring turmeric, lemon, carrot and honey. Turn Up the Beet at Spuntino Wine Bar in New Jersey boasts colorful, wholesome beet powder (left) and Carrot, ginger and cilantro up the wellness factor in this brunch drink at Beaker & Gray in Miami (right). Spuntino Wine Bar & Italian Tapas, with locations in New Jersey and Long Island, borrows the name “Green Machine” from the healthy beverage section of retail for its mocktail that features matcha powder, vanilla simple syrup, pineapple juice, coconut milk, club soda and a frozen banana slice. 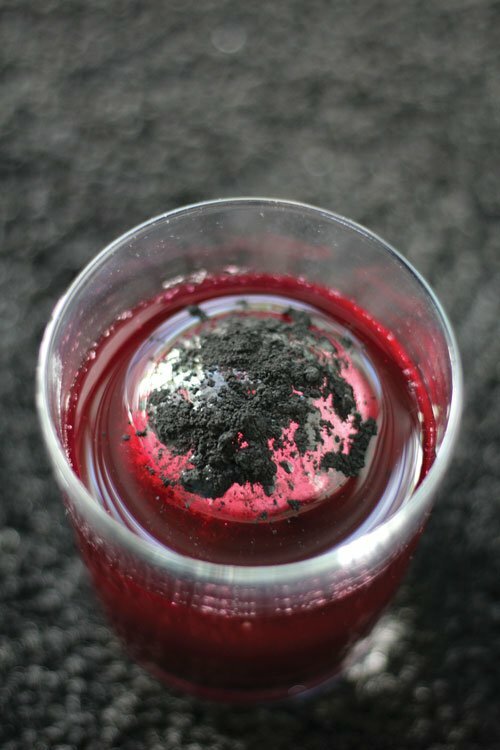 Honey Salt, a New American bistro in Las Vegas, goes all-in with the functional beverage trend in its cocktail called the Boo-Tox, which boasts fresh-pressed beet juice, ginger, coconut activated charcoal, local honey syrup and coarse sea salt—all spiked with lemon vodka. The Boo-Tox at Honey Salt in Las Vegas offers benefits from ginger, honey, beet juice and coconut activated charcoal. In addition to a huge boost from retail presence, functional beverages are gaining traction thanks to all four significant generations. Yes, all four—this is a trend that holds broad appeal, a winning formula in the continuing effort to attract a wide swath of consumers. “This trend is driven by Millennials, but Generation Z, Gen X and Boomers have all shown significant interest,” says Maeve Webster, president of Menu Matters consultancy. Switch It Up – Bring a healthy halo to your cocktails and non-alc drinks. In fact, many of the heroes in the functional beverage category are not new to consumers: carrots, beets, ginger, for instance. They simply have elevated their standing, moving into the hallowed grounds of functional and flavorful. One of the reasons that functional beverages resonate with consumers young, old and in-between is that it lines up with the personalized health trend. While a Boomer might be seeking ingredients that help restore or protect heart health or mental clarity, a Millennial might be seeking that same ingredient as a preventative measure. Although familiar ingredients are championing this opportunity, a few superstars are surfacing, catching the eye of consumers interested in functional health benefits. Kombucha, a fermented tea that’s slightly bubbly and tangy, and boasts good bacteria and probiotics, is gaining ground with those looking for digestive health benefits—as well as consumers who are drawn to interesting, trend-forward ingredients. According to Datassential, it has grown 71 percent on menus over the last four years, with 62 percent of consumers who have had kombucha believing they receive functional benefits from drinking it. Kombucha has already found its footing in the nonalcoholic world, with concepts like Bad Hunter, a plant-forward restaurant in Chicago, serving drinks like a turmeric-ginger kombucha. Starbucks moved its Evolution Fresh brand of flavored kombuchas into retail last summer, offering varieties from Pink Grapefruit to Mango Pineapple Kombucha. Now, mixologists are discovering that alcohol makes a really great partner. ArtBar, a modern American restaurant in Cambridge, Mass., menus a boozy kombucha called the Pombucha Twist, featuring pomegranate-flavored kombucha, brown-sugar syrup, lime juice, fresh pomegranate juice and rum. “Typically, cocktails are made with heavy sugar-based syrups that tend to suppress the flavor of the spirit. Kombucha offers just enough sugar to enhance the flavor of the spirit rather than overpowering it,” says Elena Divic, ArtBar’s food and beverage manager. She also says serving kombucha lines up with the demand for healthier options. House-fermented amari boosts flavor and functionality in the Old Fashioned at Colita in Minneapolis. One of the driving forces behind kombucha’s rise is its fermentation. Marco Zappia, beverage director at Colita, a new modern Mexican concept in Minneapolis, explores a different side of fermentation. Every one of his cocktails features a “ferment,” drawing from the Mesoamerican tradition of herbalism and fermentation. They also help deliver an intriguing narrative, one that Colita introduces through server interaction. The Bowl of Soul in Nashville, Tenn., includes turmeric, cinnamon and MCT oil (left). Unabashed branding adorns the CBD-infused cocktail served at Plant Miami (right). Other functional ingredients are emerging, too, offering up the promise of tighter skin (collagen), lower blood pressure, weight management and better brain function (MCT oil), and pain relief/anti-anxiety properties (CBD oil). CBD, short for cannabidiol, is derived from hemp and is the darling of the functional wellness category. Some restaurants and bars are incorporating it into their drinks. 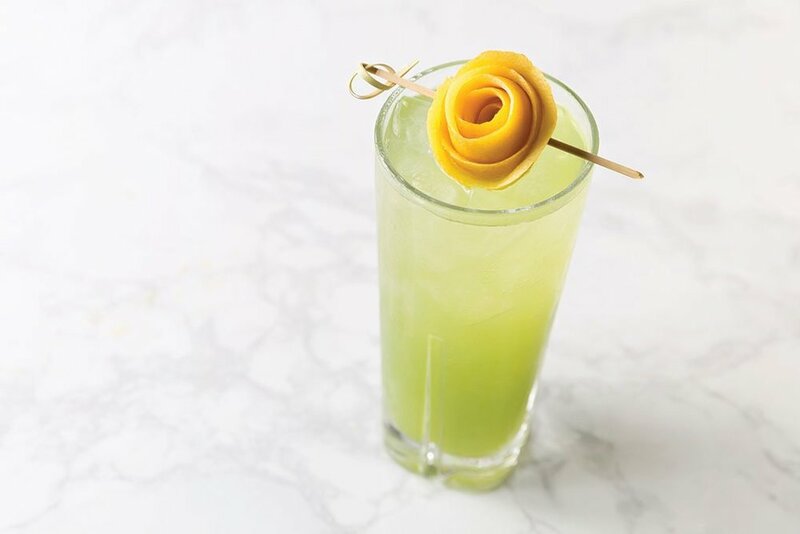 Plant Miami, a wellness- and plant-based restaurant, offers a CBD-infused cocktail called Plant Medicine, playing up its pro-health positioning. It combines rum, lemongrass, toasted coconut flakes, coconut milk, fresh pineapple juice, cloves, agave and CBD oil. “There are so many benefits of CBD oil, but pain relief and reducing inflammation top the list, as well as lowering anxiety,” says Karla Dascal, owner of Plant Miami. Firepot Tea Bar in Nashville, Tenn., demonstrates the potential for on-trend tea drinks to push the envelope on functional ingredients. Its Bowl of Soul is a warm tea drink with turmeric, cinnamon, cayenne, cacao powder and MCT oil. That protein call-out is worth noting as a new phenomenon in beverage, beyond the health-club world. Last summer, Starbucks rolled out two plant-based protein-enriched cold brew drinks. The Almond Protein Blended Cold Brew combines cold brew coffee with almond milk, plant-based protein, almond butter, banana-date blend and ice, while the Cacao Protein Blended Cold Brew has cacao powder, coconut milk, banana-date blend and ice. And peanut-butter powder boosts the protein in the PB Power smoothie at Fresh Juice Bar’s four Southern California locations. For the most part, the element that drives functional ingredients to succeed in beverage development is enhancement of the flavor experience. Combinations like those found at Barrio in Chicago evoke flavor: carrot/ginger/fennel and red beet/spinach/nectarine. Keeping with a modern brunch vibe, guests can “spike it” for an additional $6, adding vodka, gin or tequila to the juice concoctions. Brunch is actually a great place to marry function with fun. “Since brunch always follows a Friday or Saturday night, it’s a good idea to replenish some of the vitamins and nutrients lost the night before,” says Ben Potts, bar manager and co-owner of Beaker & Gray in Miami. The restaurant’s cocktail called That’s All Folks serves that purpose, featuring gin, carrot, ginger and cilantro. Call in Denver features function in its turmeric and tonic beverage, served either hot or cold, boozy or not. At Call, a chef-driven European cafe in Denver, the beverage menu plays nicely in the functional space. The Turmeric and Ginger Tonic is offered either hot or cold, leading with its healthful properties and gorgeous color. “We use fresh ginger, turmeric, black pepper—which activates the anti-inflammatory properties of the turmeric—organic cane sugar and water,” says Joe Buckley, general manager. The addition of mezcal and Aperol turns the tonic into a cocktail called Smoke Signals. Both Ever Bar and Jane Q at the Kimpton Everly Hotel in Los Angeles dive into the produce-forward trend. Green cold-pressed kale juice offsets the alcohol in Jane Q’s Vodka, So … Duh cocktail (main image above), with Stolichnaya vodka, lemon cordial and soda. Functional Beverages Trend Insights – insights into the functional beverage trend from our panel of experts. Gai lan broccoli-black garlic shrub forms the base of a tequila cocktail at Ever Bar in Los Angeles, while First Watch’s Morning Meditation gets a beet-juice topper.